The Eason Chan Yik Shun, Li Ronghao starred super action Lunar New Year comedy KEEP CALM AND BE A SUPERSTAR will open on the 18th. Yesterday more confidential Eason production highlight was released as Chris Collins hit the lights out of him. "Originally I felt lucky and thought that I wouldn't need any protective gear. All I would have to do was punch and hold back. I never expected that in the end I would be bruised all over!" He even showed his bruises on his arm, which he joked that it was so bruised that it looked fake; although he was bruised all over, Eason said that he would rather take a beating than hitting someone. In a fight scene Eason accidentally hit a stuntman, immediately he became very nervous and looked like "dried bitter melon". "Hitting people is very scary, although it's jus acting I am very afraid of hurting someone. It's very dangerous. If I get to choose I would rather get hit." Successfully creating this "martial art superstar" Chan Yik Shun, action director Sammo Hung Kam Bo's son Jimmy Hung Tin Cheung deserved the credit. 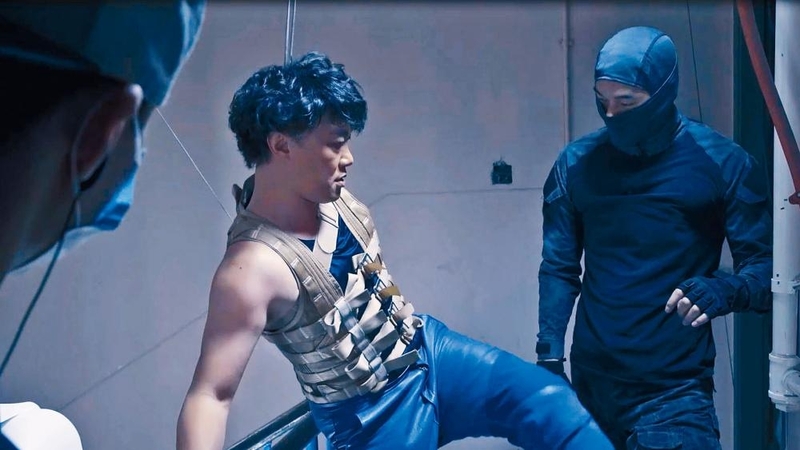 "This time the most difficult part of the production was to make two people who doesn't know martial art (Chan Yik Shun, Li Ronghao) to look like they could 'really fight'. However their ability to learn was very high; Eason was very hard working and highly demanding of himself. Sometimes when I accepted a take he would ask for another one, as he wanted to do better!" Not only Jimmy praised Eason, even Li Ronghao said that Eason fought like he had a stunt double. "Sometimes when I watch the director's cut, I would ask was the fast fighting person a double. Actually it was Eason!"